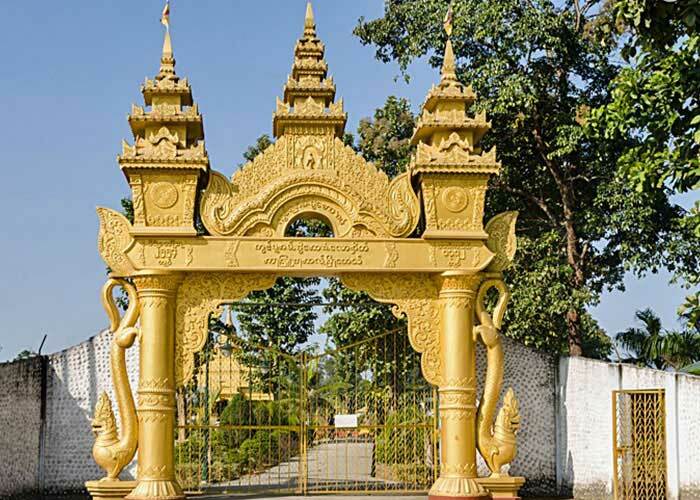 The Golden Pagoda of Namsai, also popular as Kongmu Kham in the Tai-Khampti vernacular is a Burmese style Buddhist temple that was established in 2010. 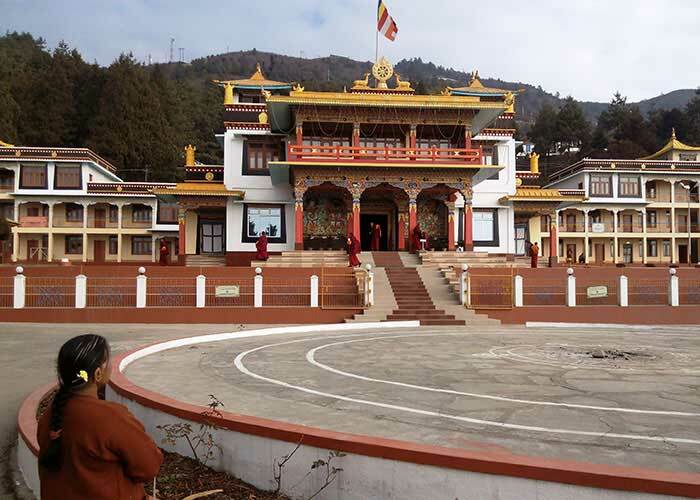 It is situated on a 20 hectare complex in Namsai District of Arunachal Pradesh. 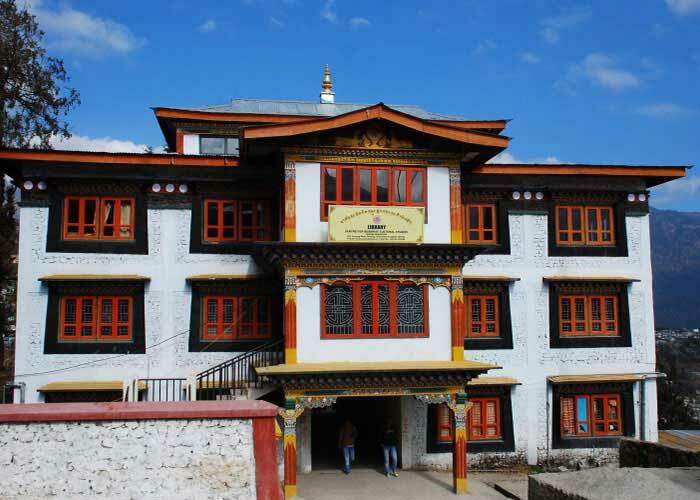 Approx, a sum of 3 crore was spent by Arunachal politician Chowna Mein, who was the local MLA in building of pagoda in a plot provided by the state government. 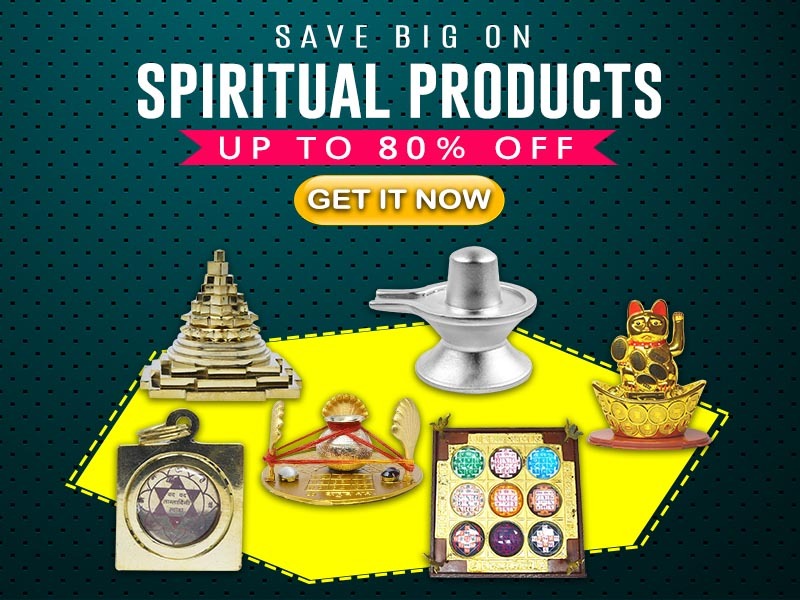 The World Tripi?aka Foundation is currently developing Kongmu Kham as the first international Tripi?aka centre in India. 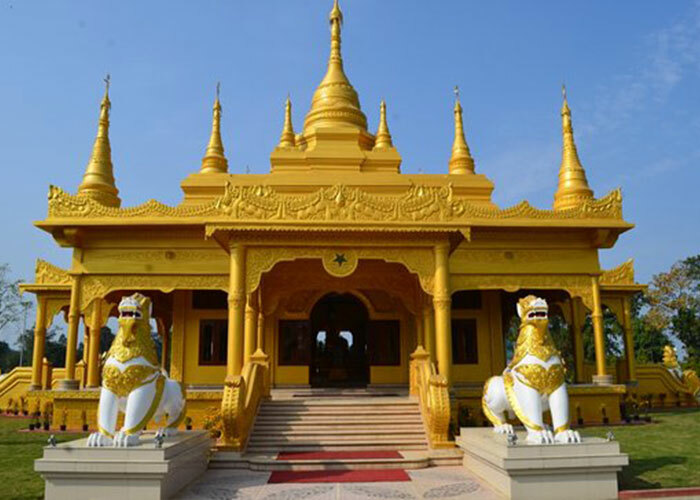 The Kathina festival is the largest festival celebrated at the Golden Pagoda. The 2016 ceremony, held on November 13 also saw participation from Thai Buddhist monks. 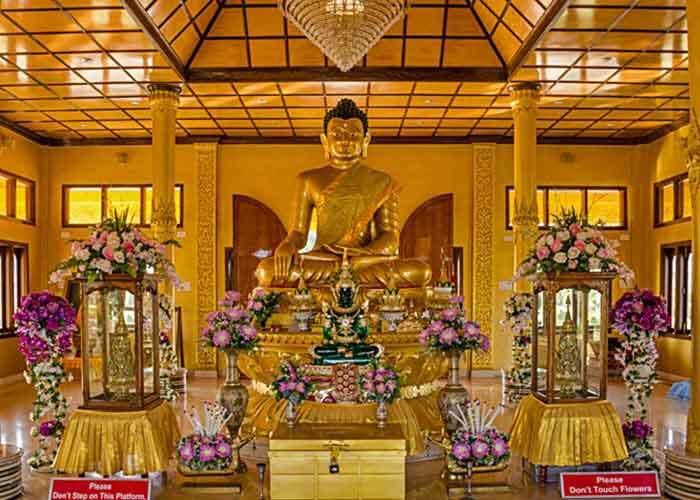 An image of Buddha which was earlier kept at Wat Bowonniwet Vihara, known as the Pro Bpor Ror was gifted by the monks on behalf of Bhumibol Adulyadej. The Thai monks also presented a Kalpatru (Money Tree) to the Golden Pagoda. However, the ceremony of Loi-Krathong, which is marked by the releasing of floating lamps into the MungchalindaBuddha pond, is also held on the last day of the festival. 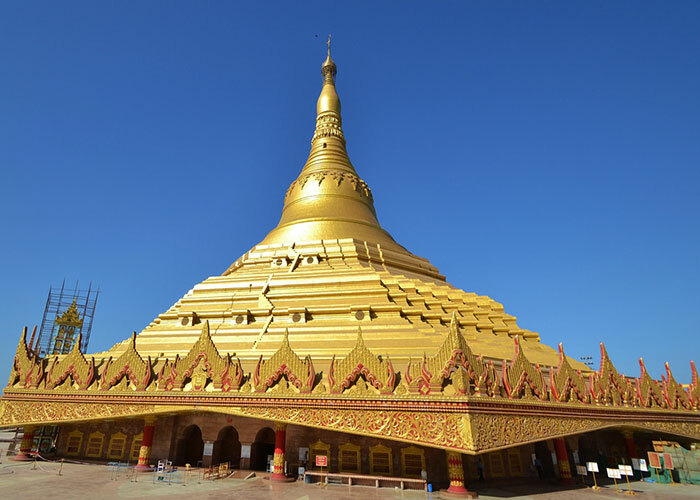 Golden Pagoda at Namsi is a very wondrous and alluring place and is a tourist destination in the land of the dawn lit mountains. Chongkham is an irresistible combination of breathtaking natural beauty, inspiring pagodas, temples and robust cuisines. Chongkham- Namsai area have a lush green forest, rich and colourful flora and fauna, exotic orchids and is criss-crossed by dozens of rivers and rivulets and tributaries of Lohit and Kamlang Rivers. Basically, Chongkham is bounded in the north by the commanding snow ranges of the last fringes of ‘Himalayan Hump’ and the descending misty mountains of Patkai range to its east while its South and West opens and stretches upto the Brahmaputra valley in Assam. People say that Patkai range has numerous passes through which the Ahoms poured into Assam from Burma and established Ahom rule in Assam which lasted upto 600 years. Those Ahoms were followed by Tai Khamtis centuries later who again established their dominance in Sadiya and Tengapani area. . Chongkham is essentially a tea town and sprawling tea plantations, picturesque landscapes, winding lanes, trekking and holiday facilities make Chongkham make a unique combination to experience that place. Legends and the popular stories connect the kund with Parasuram, which is one of the most influential sages of ancient India. However, the kund speaks its own history as legend has it that Parasuram washed away his sin of slaying his mother by washing his hands in the water of that kund. Since then, this kund has been popularly named as Parasuram kund.